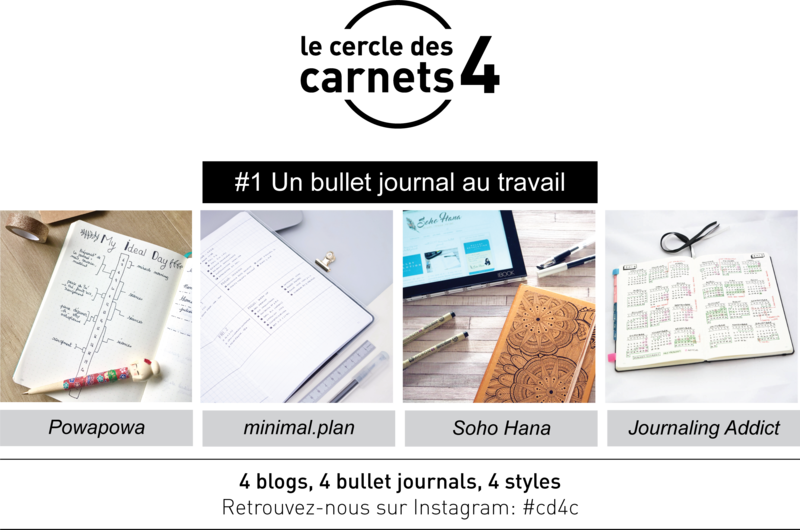 I’m back with a special post… I teamed up with the amazing Elodie from Soho Hana, Karolina from Journaling Addict and Powa from PowaPowa to write a series of articles about the bullet journal. 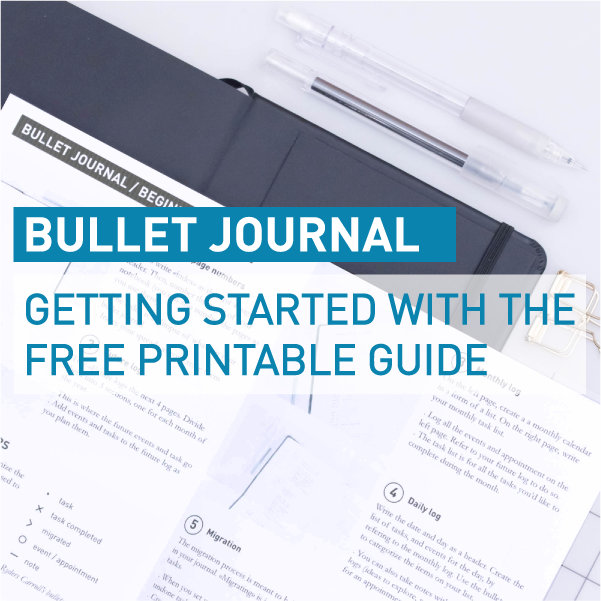 We decide on one theme and give you four different views of the bullet journal system. 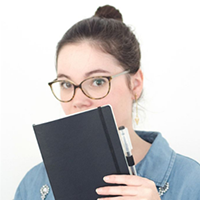 Today’s post is about using a bullet journal at work ! 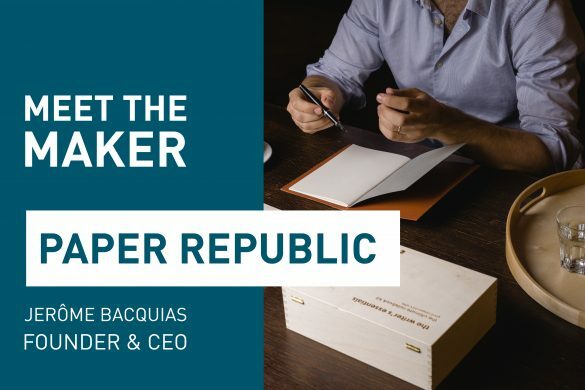 This article marks the beginning of the Circle of the 4 Notebooks and I hope you’ll like the idea. This is definitively a new adventure to celebrate, and is there a better way than an Instagram Giveaway to do so?! I’m using a bullet journal at work for almost 2 years now and my colleagues are making a bit of fun of me for using paper and pens to plan my work… But in my view, nothing’s better than a sheet of paper to think about a problem and get organized. 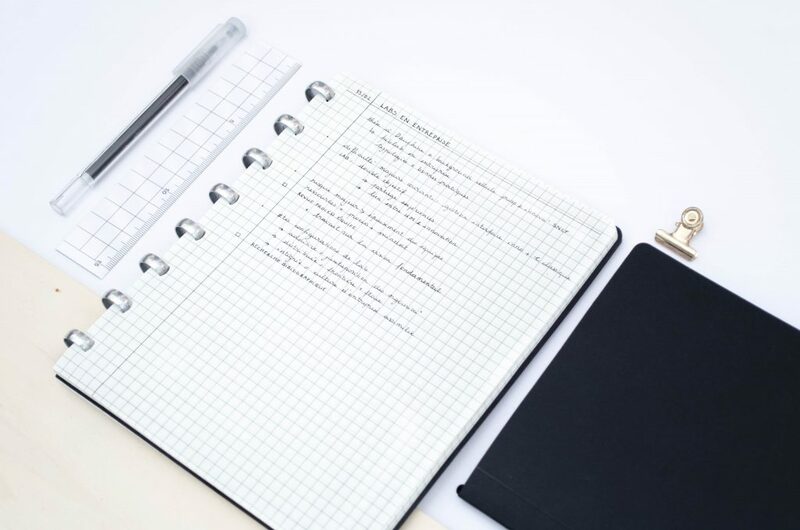 Using a bullet journal at work was a natural choice: the system is super simple to implement and perfectly answers the need of organization my job requires. 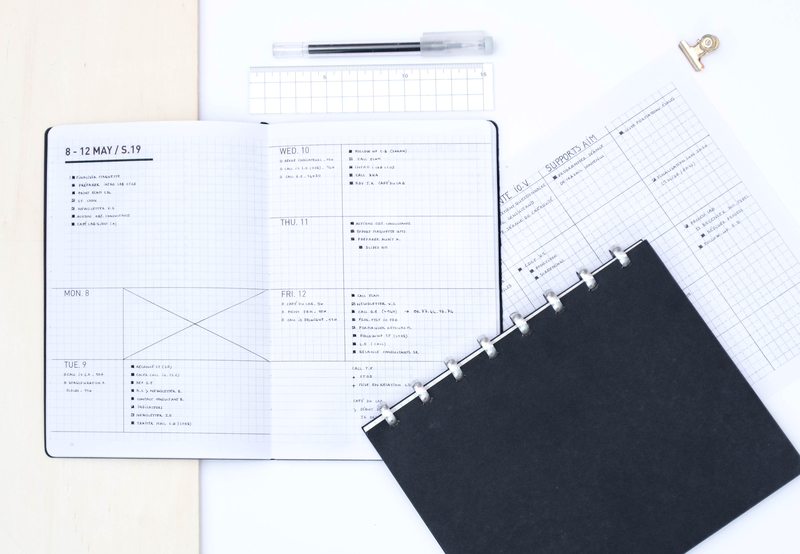 But the perfect tool doesn’t exist and the bullet journal have its weaknesses too… Here are my pros and cons about using a bullet journal at work! Nothing’s easier to use than a pen and a notebook. 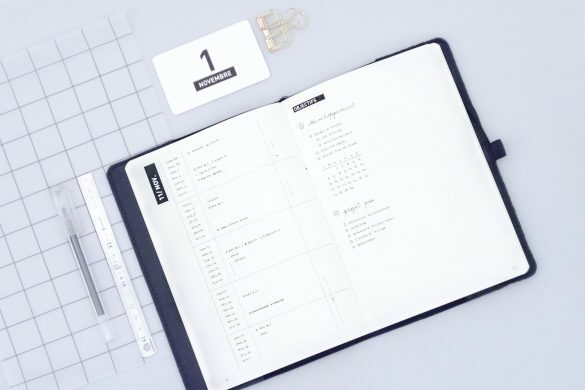 The bullet journal is a super simple system to organize and plan, and its versatility offers endless possibility to use in all kind of situations. 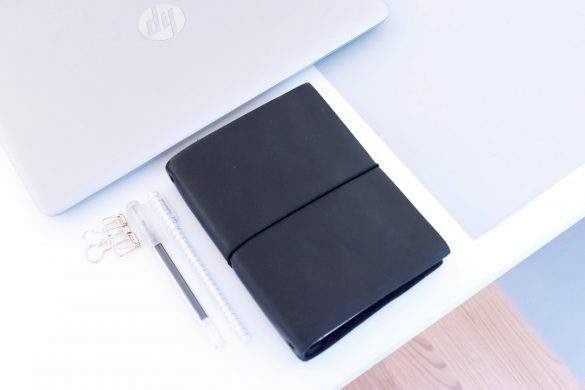 I’m not going to lie, it took me several months to adapt Ryder Carroll’s system to my needs, but now that I found the right balance, I couldn’t survive without my bullet journal! 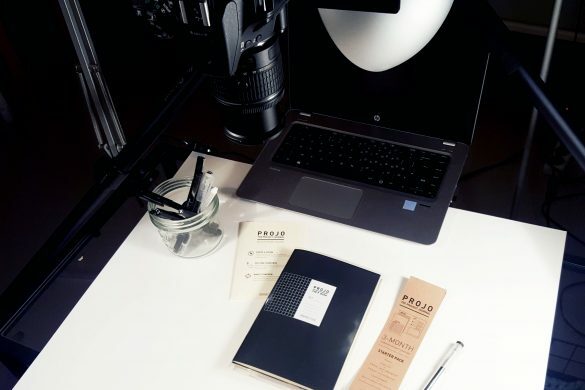 When I started to use the bullet journal at work to help me organize everything, I had to appeal to every bit of patience I had to find the right system for me… But once I found this planner peace, my productivity has really increased and I discovered the true potential of the bullet journal. First reason is that I stopped procrastinating: as soon as I write a task in my daily log, it’s like I promise myself to do it within the day (and I succeed to do so most of the time). Second one is that I included in my use of the bullet journal some productivity tricks to help me optimise the time I spend at work. 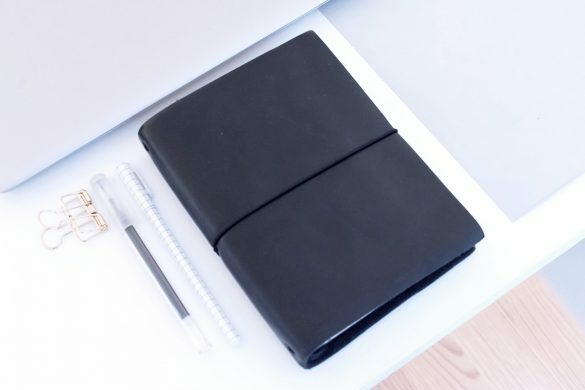 In a word, my humble notebook is my main tool to better manage my tasks and time. Increasing my productivity doesn’t really allow me to do more. For me, it’s a way to achieve the same tasks in a shorter time… And I can then enjoy some extra free time to do what I like! 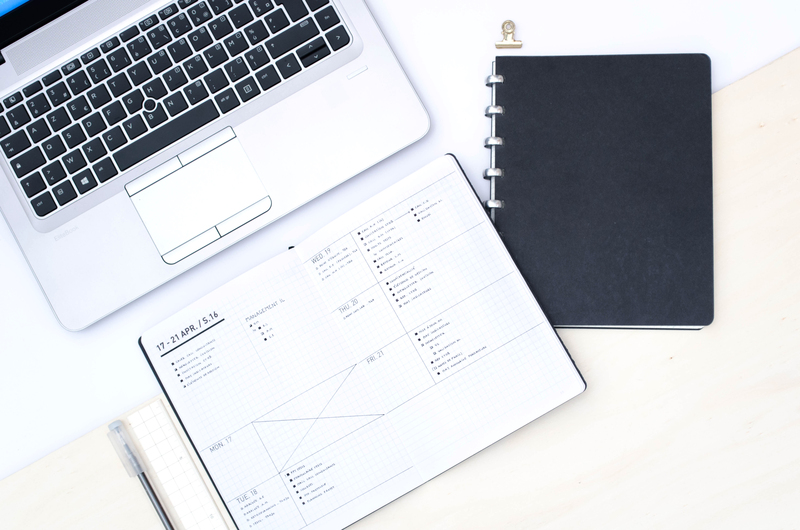 It often happens that I feel completely overwhelmed by the number of tasks I have to do or the projects I run. In this kind of situation, my bullet journal becomes a critical lifeline for my mental health. I sometimes spend entire days in various meetings with various persons on different projects. 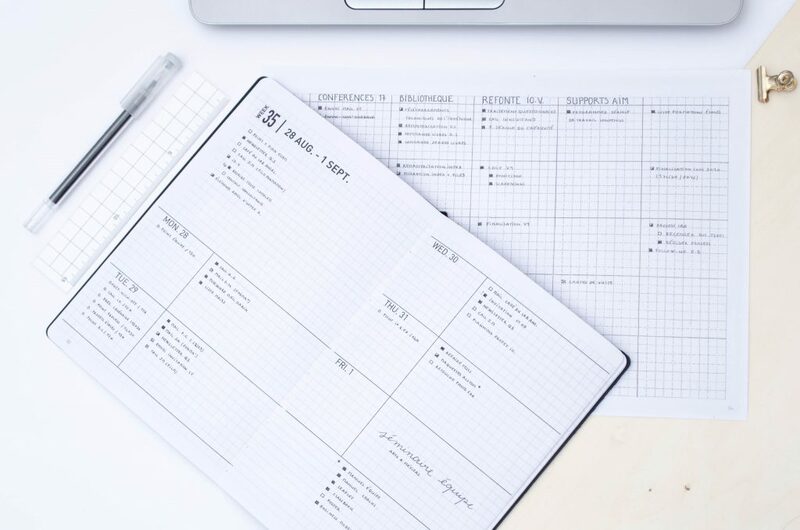 To make sure I don’t forget about anything, I rely on my trustful bullet journal to hold all the needed information: at the end of each meeting, I migrate the tasks that I need to take care of in my bullet journal, generally in my weekly log. It doesn’t necessarily mean that I’ll tackle them in the next days, but by writing them down, I make sure I’ll take them into account in my working plan. I usually do the most urgent ones and the ones that are still open in my task list at the end of the week are migrated in my monthly plan or my next weekly spread. This way, I feel I can keep control and track of things and avoid forgetting (almost) anything! I’m using a monthly log to plan my tasks, spread them evenly on the whole month and ask myself the right questions. 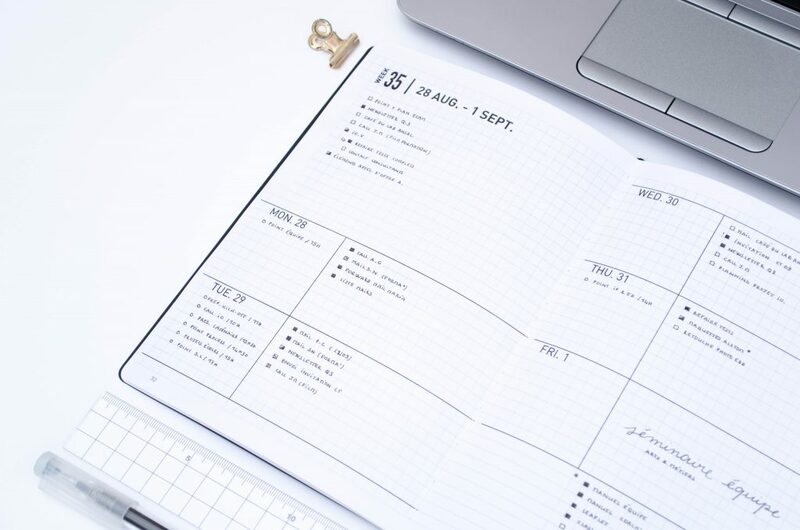 I always start to fill this planning with all the recurring tasks and anything that need to be planned in advance (deadline, events…) before organizing everything else. This way, I end up with a better-balanced monthly plan and I’m able to predict the weeks I’ll have to face a lot. Using the bullet journal at work has really change the way I organize myself, and this was for the best. I think that planning on a regular basis and giving structure to my projects has trained me to some mental gymnastics that helps me to better anticipate and prepare my action plan. My monthly plan helps me to spread my tasks evenly and to anticipate days of rush. 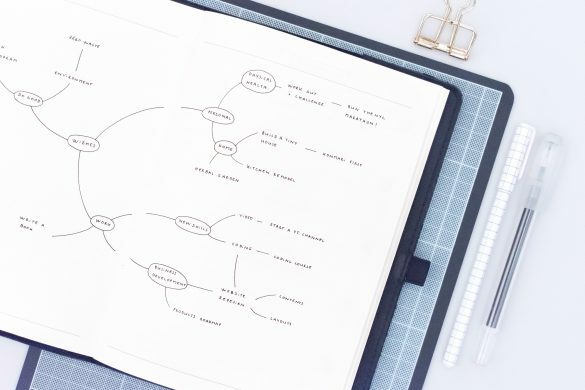 In my view, it’s one of the main advantages of the bullet journal compared to some other organization tools I previously tried: it allows me to easily track and document my work and I can draw an history of it if necessary. For instance, for some management purposes, I must keep track of the time I spend on each project I’m involved in. We have a super big Excel table to do so, and even if I try to fill it on a weekly basis, it happens that I forget to log my hours of work in it. 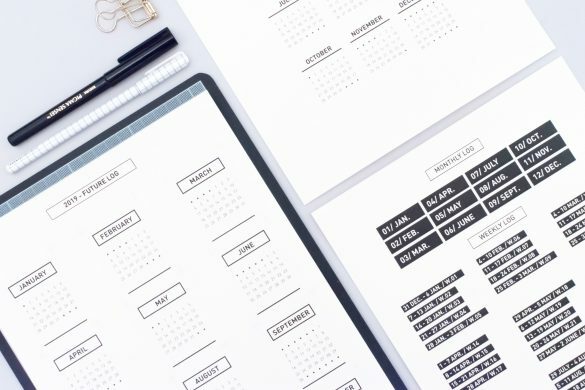 When it happens, I just need to open my bullet journal and to look at the tasks I performed the week in question to estimate the time I spent on each project. And I do exactly the same when I need to remember when I did this specific phone call that is not in my agenda. Keeping an exhaustive history of my work in my bullet journal is super helpful to run my projects, but it also allows me to report to my hierarchy about the work done if needed. In my view, the bullet journal at work is limited as soon as team work and information sharing is needed. 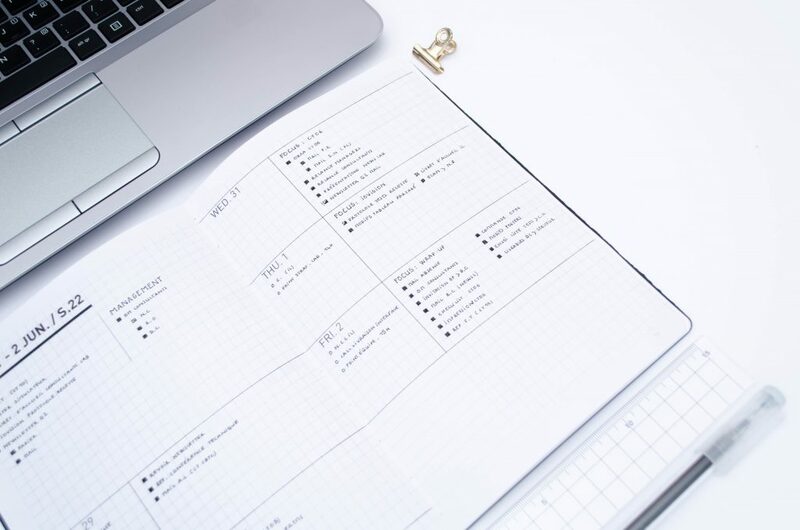 It’s a super effective tool to manage tasks and time at an individual level, but analogic is not ideal when I need to divide some tasks lists up or share my schedule. I’m a true lover of the pen + paper combo to get things organized and tasks done. But in my view, using a pure analogic system put a brake to collaborative work that is mandatory in many positions. 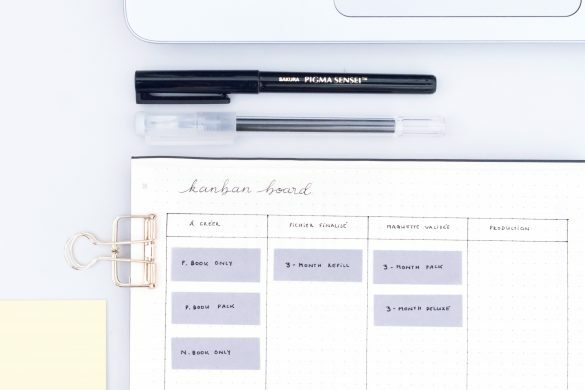 Sharing a bullet journal is tough (not to say impossible), and it’s definitely not the most effective tool to create, organize and share a task list or project plans. 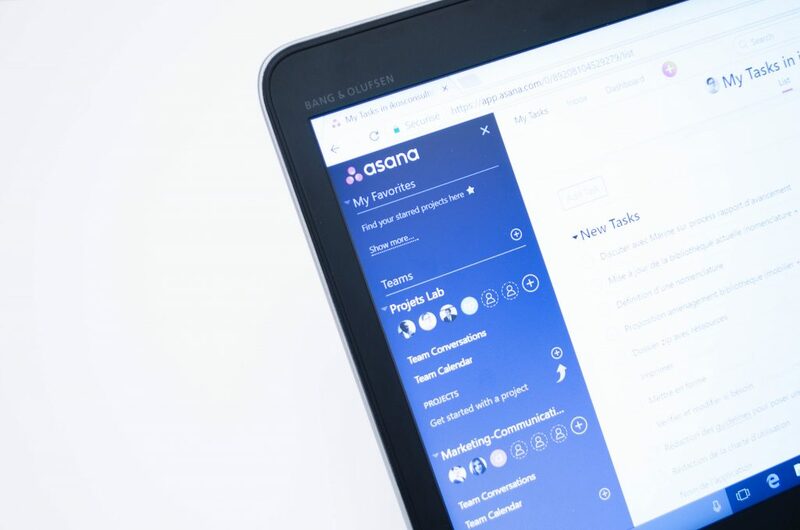 So I’m using a digital tool to do everything that I need to share with colleagues: track progress on projects, divide tasks up between people… After a benchmark of several digital platforms, we gave Asana a go and we’re pretty happy about it. I’m not going to write about the pros and cons of this tool, but here’s a thing: when you’ve been productive and check a bunch of tasks, you’re awarded with a flying unicorns. I mean… UNICORNS!! That sums up about everything, some I’m moving on to the next point. that I don’t need to take care of but are related to my projects. When I’m talking about sharing information, this also include everything related to my schedule. 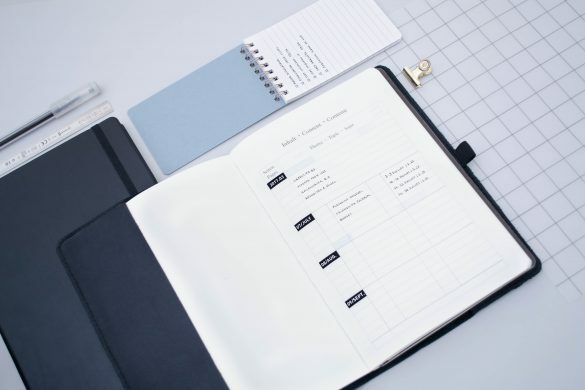 I don’t manage it with my bullet journal, simply because using my Outlook calendar is far more easier: everyone’s using within the company, so I can invite people to meeting, add an agenda to the meeting invitation… Well, share basic information. I simply fill the “appointment” of my daily first thing in the morning to make sure I have my schedule in mind and adjust the lenght of my task list. In a word, I think that everything that stays at an individual level can stay analogic and be managed with a bullet journal, the rest needs to go digital to be shared. The left column of my dailies is dedicated to any appointment or event. The rest of the space is for tasks only. I was talking about it right here, my job requires to be flexible and be able to adapt my schedule to face the unexpected (unexpected = some colleague entering my office and asking me something that is SUPER urgent). Fact is, using a bullet journal at work has increase my productivity but also decrease my capacity to adapt to these situations. Of course, this drawback is super specific and somehow personal and maybe I’m the only one to feel that way. 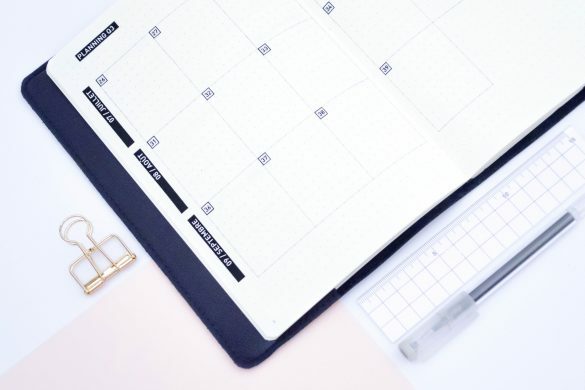 Still, when I start my day and draw my action plan for my day, I then really struggle to change it if someone is asking me to… And that’s particularly true if saying yes to this unexpected tasks may make some other project late. The bullet journal is definitely an essential for planning and organizing everything at work. It helps me manage my multiple tasks lists, and to keep everything under control, which seriously reduces my anxiety. I couldn’t go back to my messy post-it lists… As any organization system, the bullet journal has also its weaknesses. It’s still a great personal tool that need some sidekicks as soon as some info sharing is needed (task lists, appointments, meeting notes…). After 2 years of using a bullet journal at work, I’m convinced that this system can be tweaked to fit about everyone needs, and it’s only a matter of time (and some trials) to make it work… I think that the posts my team-mates from the Circle of the 4 notebooks are the perfect illustration of the versatility of the bullet journal in a professional environment!